So I decided to revisit, after a long absence, the meaning of good and valuable consideration. Well, I had to dig deep. 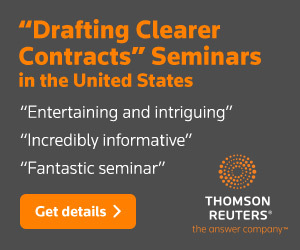 You won’t find discussion of it in the obvious U.S. contracts treatises or anywhere else in the literature on contracts. We may premise, that considerations, as they relate to deeds, are in general divided into good and valuable considerations. “A good consideration,” says Blackstone (o), in speaking of a consideration for a deed or grant, “is such as that of blood, or of natural love and affection, when a man grants an estate to a near relation; being founded on motives of generosity, prudence, and natural duty. A valuable consideration is such as money, marriage (p), or the like, which the law esteems an equivalent given for the grant; and is therefore founded in motives of justice.” The former will not in general hold against creditors, if calculated to defraud them; the latter cannot in general be impeached (q). The distinction between a good and valuable consideration is this, — that a good consideration makes the instrument (a deed of conveyance, &c,) good as between the parties; but a valuable consideration makes the conveyance good against a subsequent purchaser (r). We must, however, observe, that the term good consideration, as thus applied to deeds, does not hold in relation to simple contracts, to support which relationship, natural love and affection will not be a sufficient consideration (g). In the United States the distinction between good consideration and valuable consideration is evidently still relevant for some real-estate deeds, because it’s enshrined in, for example, Georgia statutes (more specifically, Ga. Code Ann. § 13-3-41). But the only reason I care about it is that I still see good and valuable consideration constantly in contracts, and it makes no sense. 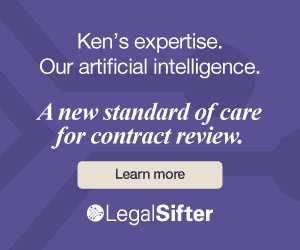 And second, what was true in 1834 still holds true: the distinction between good consideration and valuable consideration is irrelevant for purposes of regular contracts, in other words contracts other than deeds and other formal contracts. (I leave it to others to determine whether it’s still relevant for those.) If buy 100 widgets from Jones in exchange for my undying affection, that transaction will be void for lack of consideration. 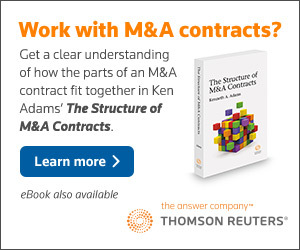 That good and valuable consideration is still a fixture in business contracts is a damning indictment of traditional contract drafting. It means nothing, but in drafting the contract I used the best available precedent and assumed that you didn’t want me to start a big redrafting project. I don’t know what it means, but I do know that it doesn’t matter. Doing deals is about expediency, and I’m focusing on what needs doing to get the deal done. If instead they look blankly at you, at least they’re being honest. Conceivably they might start telling you about how using the phrase good and valuable consideration is required as a matter of consideration doctrine. That’s when you should get worried.